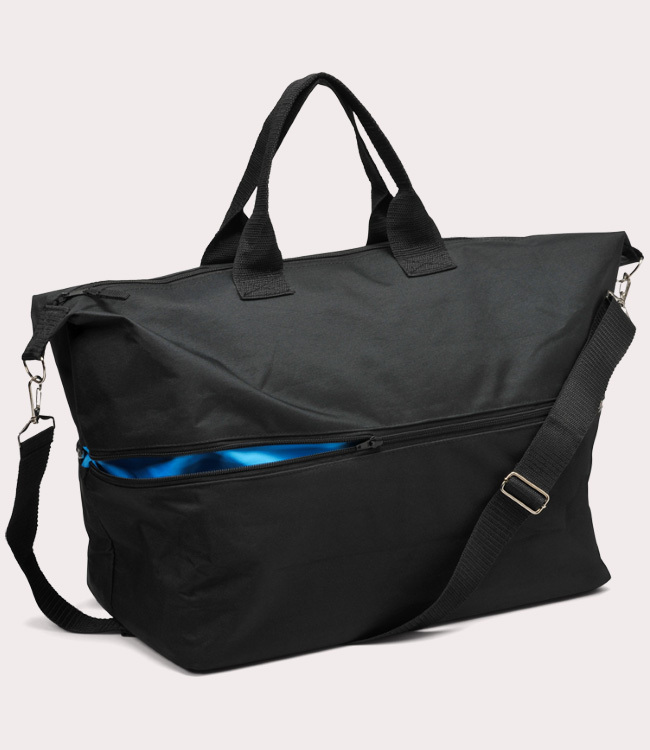 Roomy 17" x 9" x14" tote bag with shoulder strap, inside double pocket with zipper and constructed bottom. Middle section unzips to expand an additional 5 inches. 300 denier polyester.